Reserve Requirement is the proportion of customer's deposit a commercial bank is to hold in reserve without loaning out. For example, if a central bank set the reserve requirement at 20%, that means a commercial bank has to keep 20% in reserve of the total of customers' deposit. Most of the forex beginners do not know this money supply controlling measure used by the central banks. I was not introduced with this money supply controlling tool when I took the first step in forex fundamental analysis. Let me explain how reserve requirement tool is used by the authority to monetary policy to control the money supply in the economy. If the authority to monetary policy decides to increase the reserve requirement, it implies that the authority to monetary policy wants to decrease the money supply in the economy. In contrary, if the authority to monetary policy decides to decrease the reserve requirement, it means that the authority to monetary policy wants to increase the money supply in the economy. Above are the basics of applying reserve requirement measure to control the money supply in an economy. Now the traders should know how the reserve requirement affects the value of a currency and how reserve requirement information is used in forex fundamental analysis. Traders should remember that the demand of a currency in forex market determined by the long term currency value expectation. In forex the increase in bank reserve requirement means that it will decrease the inflation rate, discourage the economic activities, and decrease interest rate expectation, hence decrease currency value. On the other hand, the decrease in bank reserve requirement means that it will increase the inflation rate, encourage the economic activities, and increase interest rate expectation, hence increase currency value. For instance, if an economy has lower inflation rate ,poor economic performance and lower interest rate, and authority to monetary policy increases the reserve requirement, it will decrease the inflation rate and discourage economic performance, hence decrease currency value. On the other hand, if the authority to monetary policy decides to decrease the reserve requirement under the aforementioned economic situation, it will increase the inflation rate and encourage economic performance, hence increase the long term interest rate expectation. 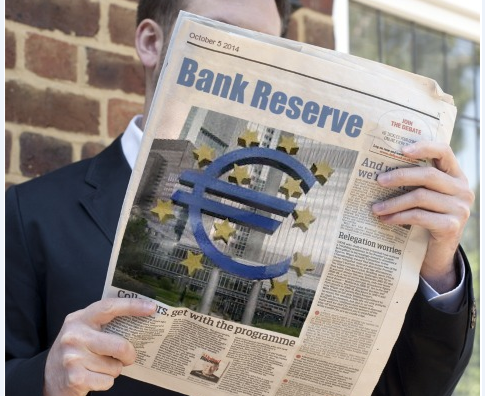 If an economy has lower inflation rate, sound economic performance and higher interest rate, and authority to monetary policy decides to increase the reserve requirement, it will decrease the currency value because the inflation rate will be decreased further, hence discourage the economic performance. If under this economic situation authority to monetary policy decides to decrease the reserve requirement, the value of a currency will be increased because this will increase the inflation rate, improve economic performance and interest rate expectation. The interpretation of reserve requirement data in forex trading is not as easy as explained in the above two passages. Everything depends on the economic situations. Forex traders must understand the effect of reserve requirement on the future currency value under a given economic situation. Easiest way of understanding the effect of monetary policy decisions in forex market is determining the effects on economic performance. If the decisions have positive effect on economic performance then it is positive for currency value, and if the decisions have negative effect on economic performance then it has negative effect on currency value. Dear Traders, if you have any suggestions, you can drop a comment below.